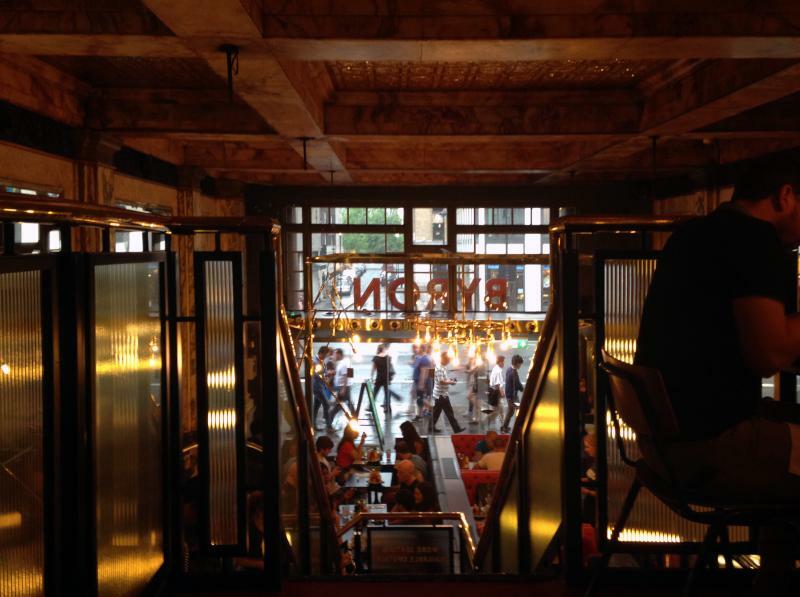 Last Wednesday I received an email from Byron – I signed up to their newsletter for updates about new burgers etc. But this wasn’t about the latest menu addition – it was an invite to eat for free at the opening weekend of the new Byron on the Strand! Free Byron burgers? I’m there! So I booked a table for the Saturday and 2 minutes later it was sold out! 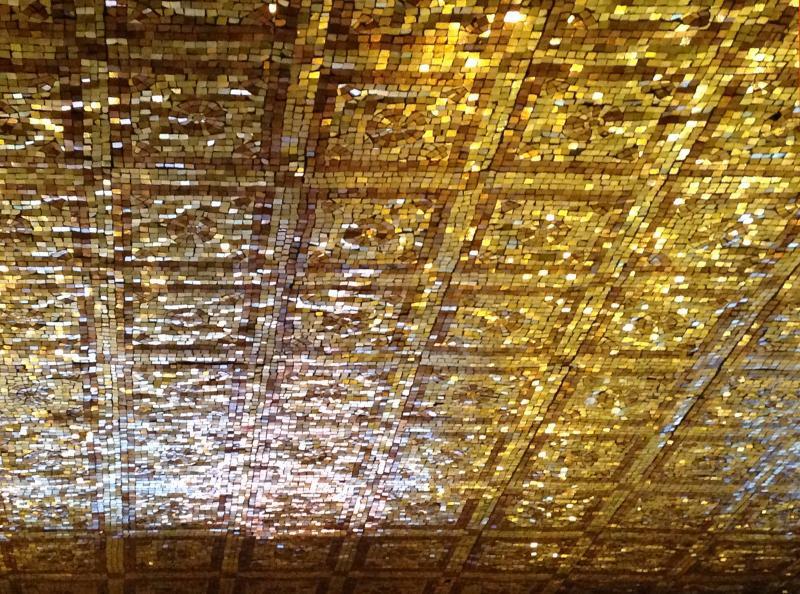 … and the amazing glitzy ceiling – only on the Strand hey? 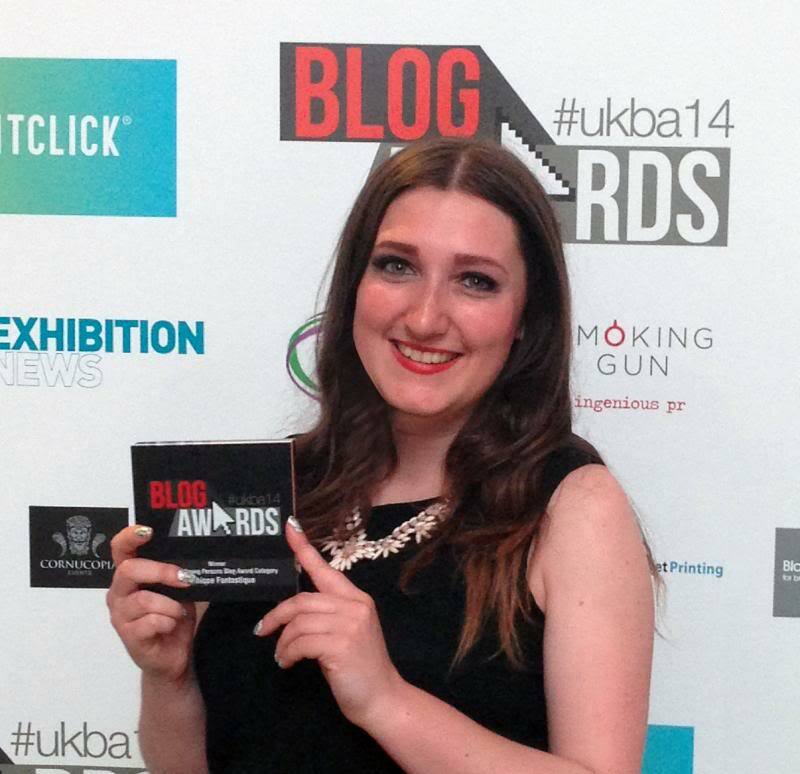 And then it was down to business! 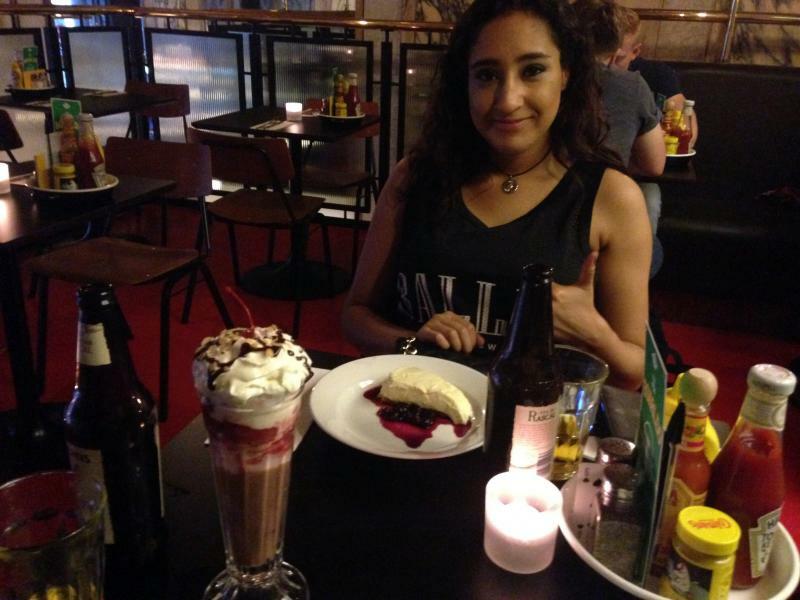 We was allowed a ‘While you wait’, a burger, a side and a dessert EACH. Usually I have a burger and share a side of chips and that fills me up, but this was an opportunity to try a bit of everything so we went for it. 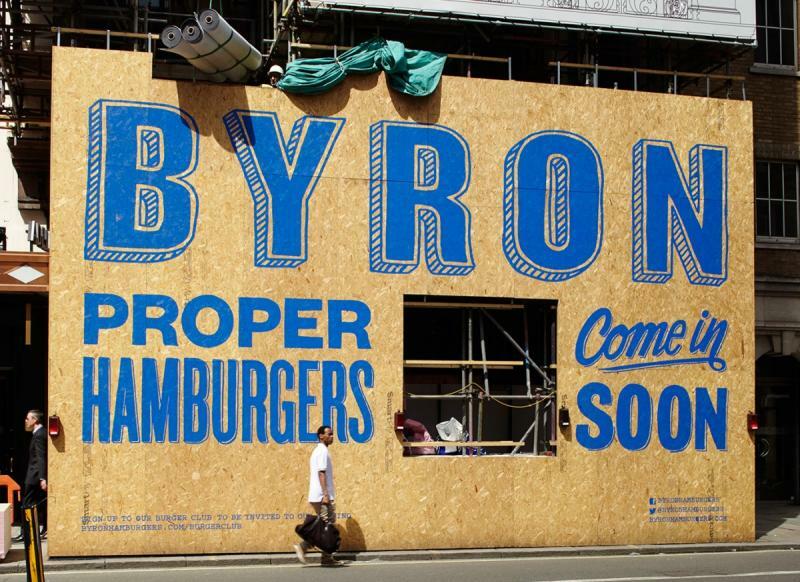 I think Byron do branding pretty well – they have a standard, minimal, typographically focused standard and then inject some fun through the special burgers that change every month or so. 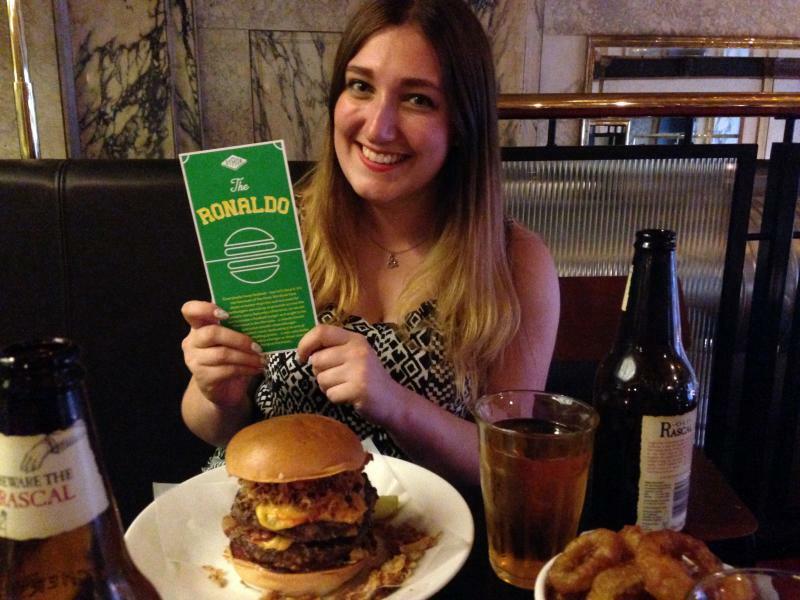 July was the month of The Ronaldo because of the football, but previous burgers include Miami Slice, B-Rex and Hot-a-doodle-do which each had their own themed branding – see here. As you can see, that burger is basically the size of my head and I really don’t know how I managed to finish it but I did because it tasted amazing: two 6oz burgers, rashers of crispy bacon, onions gently fried in butter until soft and sweet, pickles and crispy fried onions for crunch, and American cheese. Sadly, as hard as we tried, Nadia & I couldn’t finish the onion rings and fries… but only because we was looking forward to dessert! Whilst waiting for dessert I found this cute little booklet about the Byron story which you can watch a video version of here. 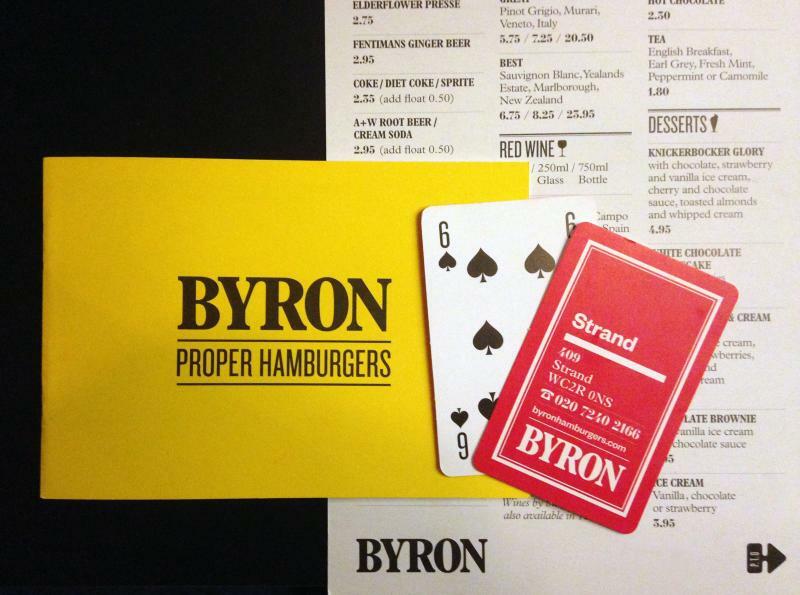 I also love how every Byron restaurant has it’s own business playing card – if they open 52 (they’re at 45 currently) and you visit everyone that’s a new deck of cards (Jack has been collecting them since I took him to the Cambridge Byron)! After demolishing the lot, it was the best feeling ever to get the bill and pay just £9.90 for our drinks as the food was on Byron! 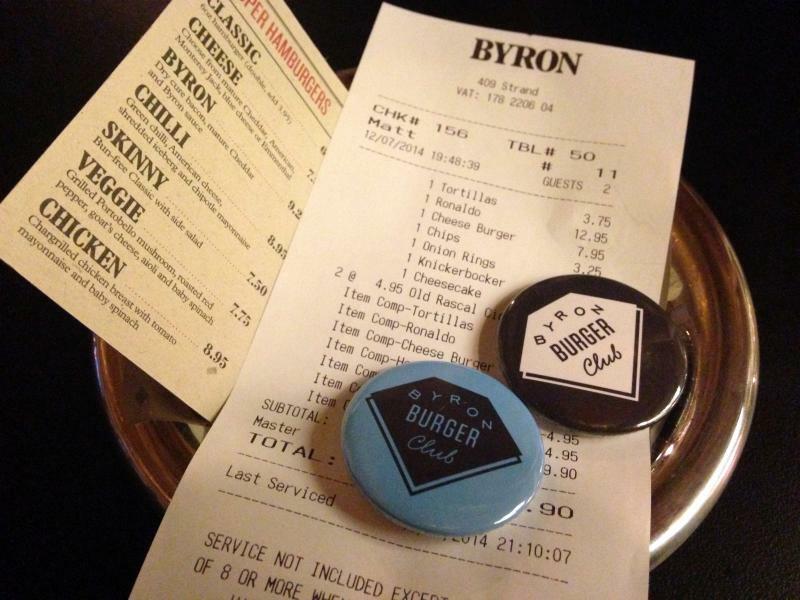 We also got a Byron Burger Club badge each – so retro and American! Almost 1 year to the day that I had my first Byron experience, I’m glad that I was able to introduce Nadia to the amazing food at Byron. 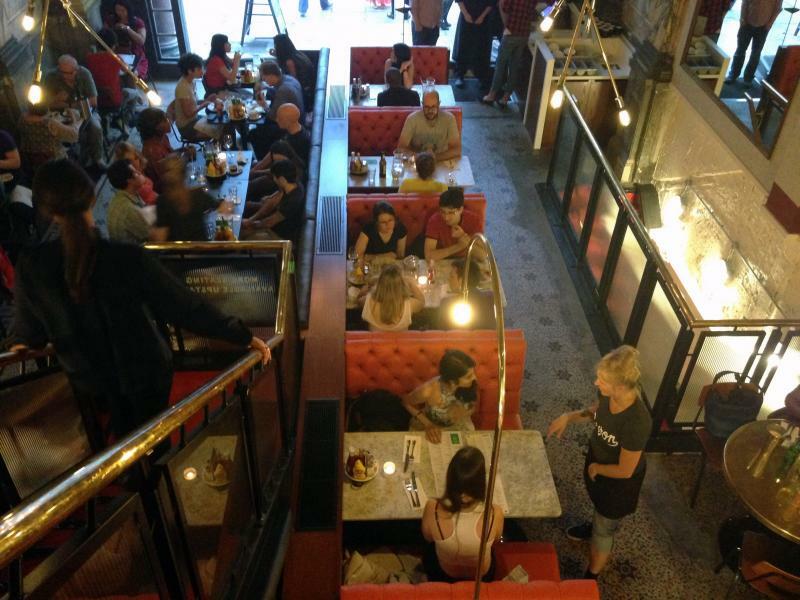 Each restaurant has a different vibe depending on the area – the Strand restaurant is grand and sparkly with high ceilings, but serves the same great simple Byron taste. 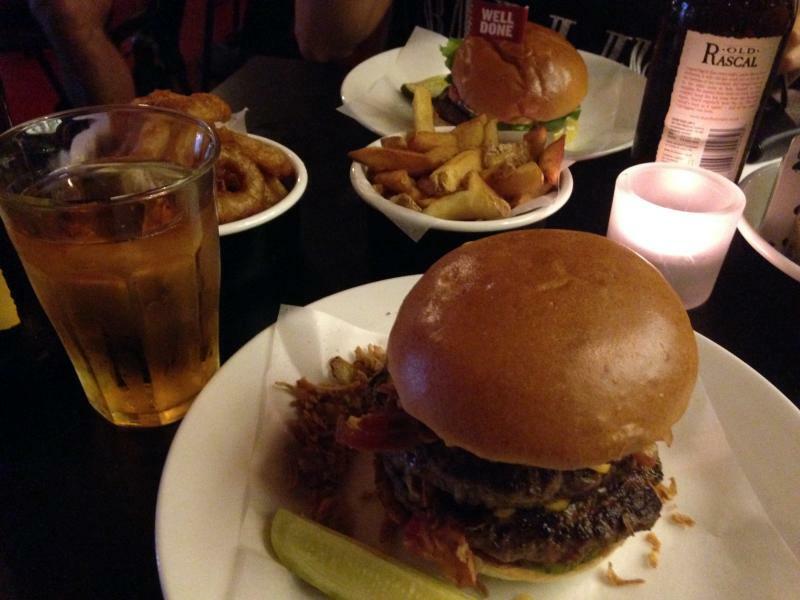 There are several burger restaurants in London but I definitely recommend Byron. 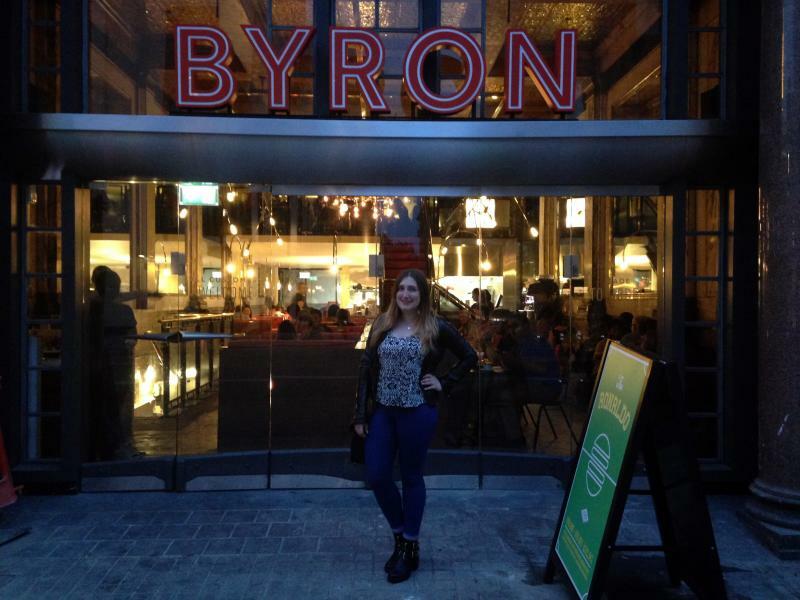 Have you enjoyed a great burger at Byron? 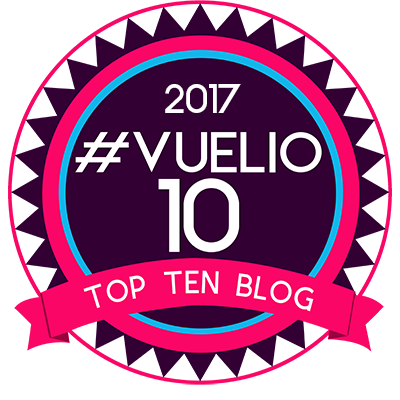 Which is your favourite restaurant? 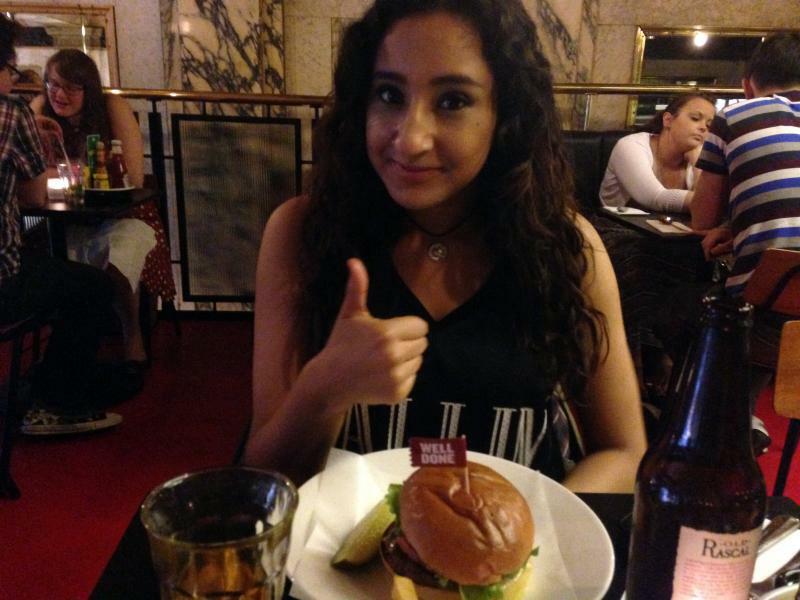 That is one huge burger, yum!!! Do they have any places in America? I’ve never heard of them. 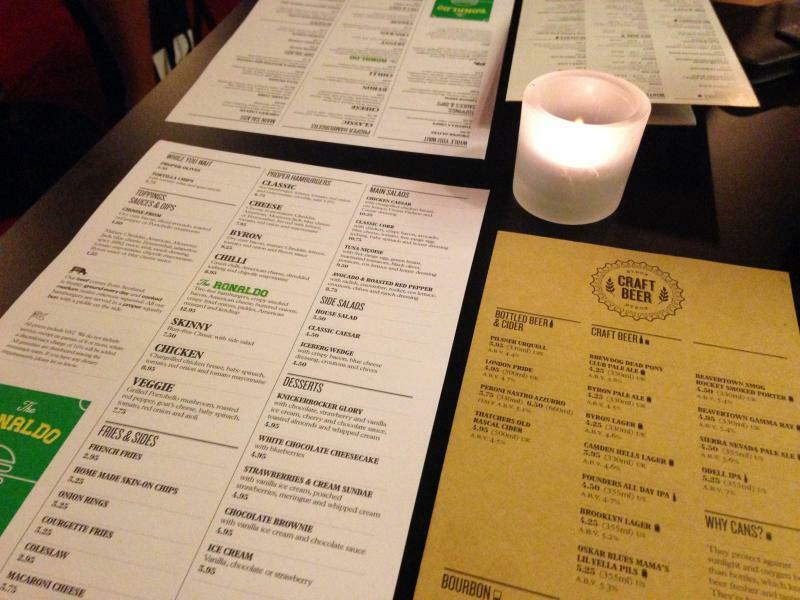 I don’t think they have any restaurants in America but I think they are inspired by American burgers – yummy! Great photos. 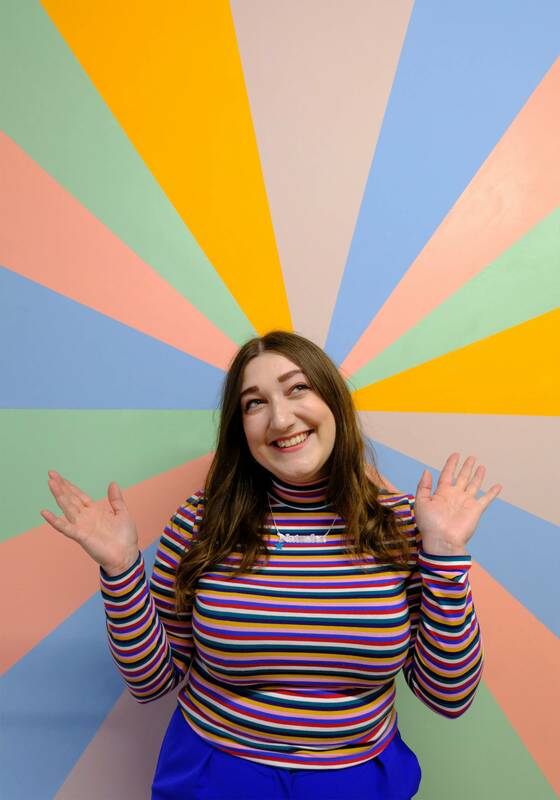 Everything looked so good–even the ceiling!